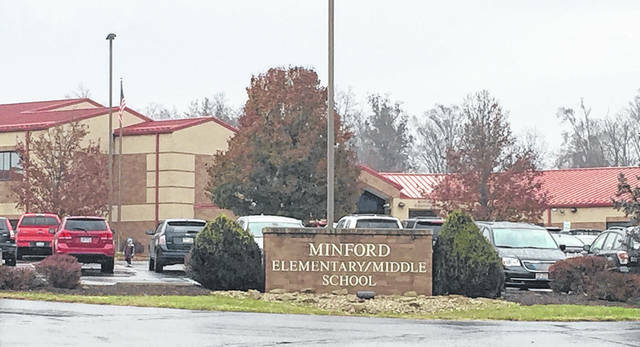 The parents of four Minford Middle School students who were allegedly bullied and sexually assaulted by other students during a school sponsored overnight field trip filed suit Monday morning in a Cincinnati federal court against the Board of Education of Minford Local Schools (MLS), district Superintendent Jeremy Litteral, Minford Middle School Principal Dennis Evans, several Minford schoolteachers as well as three minors, named as the perpetrators in the incident, along with the alleged perpetrators’ parents. According to a copy of the complaint filed by plaintiff attorney Bruce MacDonald of Greenup, Ky., and supplied to the Daily Times, the plaintiffs allege on or about Oct. 15-17, the Minford school district organized a field trip to a Tim Horton’s Camp in Campbellsville, Ky. The complaint goes on to claim teachers were in the same building where the alleged abuse took place, knew of abuse which allegedly took place the first night of the camp but did nothing about it, even failing to report it to parents, school authorities or law enforcement. Speaking to the Daily Times on condition of anonymity, one parent involved in the suit stated there had been problems between the defendant students and other students previously. The parent described some bullying and/or abuse taking place the first night of the camp, adding the victims went to teachers, but as alleged in the complaint, the parent said nothing was done. On what was apparently the second night of the camp, the parent said the victims were forced into a separate room with the perpetrators, some left dazed and confused by what was described as a strobe light. The parent went on to allege the perpetrators did some sort of vulgar dance – possibly called “twerking” – in the faces of their victims. The parent added some children got away. “Some kids are stronger than others,” the parent said, stating further some victims had something inserted into their rectums. “My son’s life is changed forever,” the parent said. Both MacDonald and the parent said the lawsuit is not about money. MacDonald said any monetary award would be determined by a jury when the case goes to trial. Stating it was an estimate at best, MacDonald further said it may be up to 18 months before the case reaches the inside of a courtroom. Reached at his office, Litteral said Monday he had not been served with nor seen a copy of the complaint and therefore had no comment. Attempts to reach the other faculty and administrators named in the complaint were unsuccessful. While the complaint names some specific adult defendants, minor plaintiffs and defendants are identified only by their initials. The full names of parent plaintiffs and parent defendants also are excluded from the complaint. In speaking with the Times, MacDonald noted teachers are mandatory reporters, meaning they are required by law to report to authorities any instances of alleged abuse of minors, something which the plaintiffs obviously feel did not happen in this instance until after students returned from Kentucky. MacDonald added the incident is, to the best of his knowledge, still under investigation by Kentucky State Police. Numerous attempts by the Daily Times to reach Kentucky law enforcement have been unsuccessful. According to MacDonald, law enforcement efforts were hampered and made more difficult by the alleged failure of school officials to report the supposed incident at the time it happened. Asked to comment on the situation at the time of the protests, Litteral said an unreleased number of students had been suspended. He would not say how long those suspensions lasted. The parent who recently spoke with the Daily Times argued those students should have been expelled. The parent said gaining some changes in the regulations of Minford schools, or at least forcing officials to adhere to existing rules, is the most important thing on the minds of adult plaintiffs. The parent said plaintiffs are even willing to wait the many months MacDonald said may pass before the case goes to court. “You can’t put a time frame on prevention,” the parent said. MacDonald asked anyone with information on what allegedly happened at the camp to call his office at (606) 473-7303.